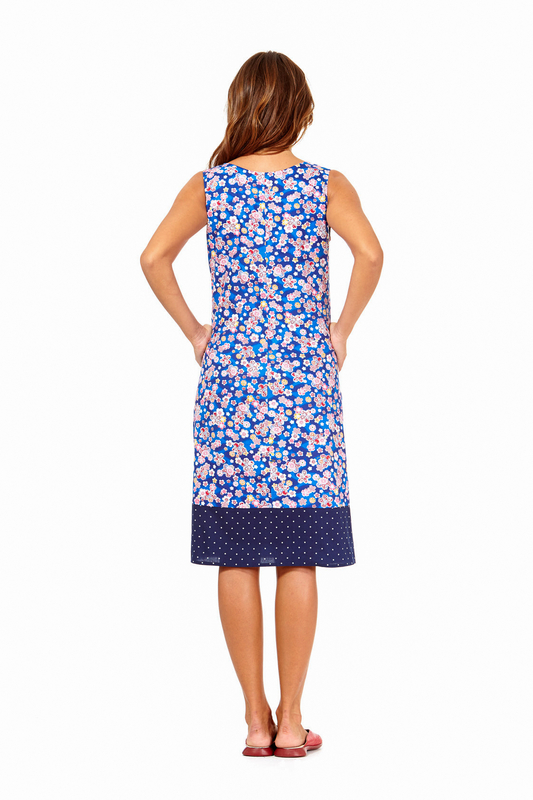 The Rasaleela Ava dress is a cool, comfortable and flattering tunic-styled shift dress made from 100% crisp cotton, the perfect frock for easy wear in spring and summer. The Ava Dres is a versatile little number and great for the office or the weekend, worn with flats or sandals . The playful mix and placement of these prints also adds a flattering distraction to the bust and waist areas. Ava will be your go- to breathable cotton shift this summer in this gorgeous and exclusive print combination !